Water damage can happen in a home or building that can be caused by numerous sources. 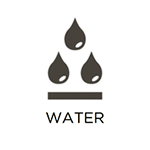 These may typically include leaking pipes and other fixtures, heavy rain, flooding, and excess humidity. 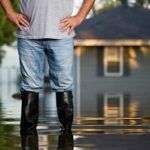 But it is important to act fast once you discover water damage as it will spread to the structural elements and furnishings of your home if ignored. However, RestorationMaster provides water damage restoration services in the Seattle, WA area to remove excess water from homes and businesses while repairing the resulting damage. 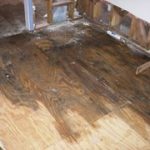 Reacting quickly to the first signs of water damage will also help save you time and money on the restoration process. 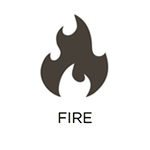 The potential for a fire should never be taken lightly as they can be caused by a number of factors, quickly causing additional damage. Even after the fire is extinguished, the smoke and soot will continue to settle throughout the home, cause more damage that will eventually become permanent. 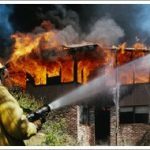 However, RestorationMaster provides fire and smoke damage restoration services in Seattle, WA to help homes and businesses recover from a fire. We have the training and right equipment to effectively clean and restore damaged structural elements, furnishings, electronics, and art. 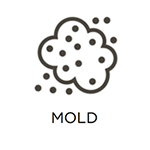 Mold growth is a consistent threat as mold spores are always present in the air. But if left untreated, it will turn into mold after finding a moisture and food source such as wood or drywall. Mold can spread once it starts growing; furthermore, it can lead to extensive structural damage to the home if not removed immediately. This then poses the risk for severe allergies and infections to others living in the home. However, RestorationMaster provides mold remediation services in Seattle, WA to remove mold growth from homes and commercial buildings. Therefore, mold removal is best performed by professionals as we respond within 2-4 hours of your call to immediately begin the remediation process. While many individuals do not experience a trauma or crime scene, incidents involving serious injury or death are quite common. 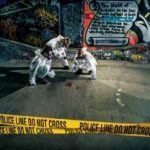 Encountering a crime or trauma scene in which a serious injury or death has occurred can be difficult; however, knowing how to react is crucial for your safety. RestorationMaster provides trauma and crime scene cleaning services in Seattle, WA to remove biohazard materials such as blood and bodily fluids, restore the scene to its original condition. Finally, our technicians are trained to effectively clean and restore trauma scenes while taking a compassionate approach to ease the burden of those who are grieving. Cleaning out your home regularly is not only beneficial for maintaining its appearance, but for contributing to a healthier environment. Furthermore, if you do not adequately clean your home on a regular basis, mold, bacteria, and other harmful substances can form and threaten the health and safety of your family. 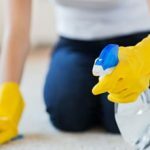 However, RestorationMaster provides gross filth cleaning to homes in Seattle, WA to remove harmful substances in which make your home unsanitary. But we will clean all cases of gross filth caused by negligence or hoarding while restoring your home to a clean and healthy environment once again. 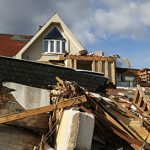 The damage caused by a natural disaster is usually pervasive and results in damage to the structural elements of your home as well as your personal items. Facing the damage to your personal items can therefore be overwhelming and may leave you wondering what to do next. 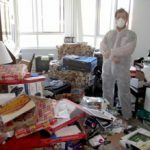 RestorationMaster provides content cleaning and pack out services in Seattle, WA as part of our disaster restoration to clean and restore these items. We will effectively clean and restore your content on-site or provide pack out services. In this case, they will be safely delivered to our facility for cleaning if your home is in an unstable condition. 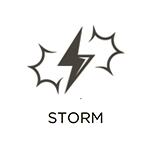 Avoiding a severe rainstorm is nearly impossible in Seattle, WA; therefore, it may be difficult to determine if it will be strong enough to cause property damage. Rain, wind, hail, and thunderstorms are all common to the Seattle, WA area as they can each cause different degrees of property damage. However, RestorationMaster provides storm and hail damage repair services in Seattle, WA to repair homes and businesses that have been damaged due to severe weather. Our technicians will then ensure your home or building is stabilized before repairing the structural damage. There are millions of Americans who are affected by hoarding as the consequences of hoarding behaviors can be dangerous for those that hoard and their families. 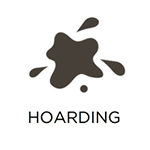 Hoarding is classified as a mental disorder because high anxiety makes it difficult for those affected to throw anything away, leading to a buildup of hoarded items in the home. These items dangerously clutter the home, increasing the risk of injury or fires. They may also harbor mold or bacteria growth that can lead to health effects. However, RestorationMaster provides hoarding cleaning services to clean and restore hoarders’ homes in Seattle, WA. We can thoroughly clean and disinfect homes affected by hoarding. We also make sure to include the affected individual in the planning and cleaning process. For more about our 24/7 emergency disaster restoration services, call RestorationMaster at 888-915-8868 in Seattle, WA and the surrounding communities.